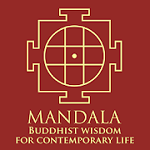 Reverend Dhammaruchi William B. Edwards is the founder of the Vipassana Buddhist Church/Center for Buddhist Development in Jefferson City. Jefferson City, MO (USA) -- Meditation is the core teaching of the Buddha to address the Four Noble Truths of Suffering. There are two basic types of meditative practice in Buddhism: concentration meditation (Samatha) and mindfulness meditation (Vipassana). Concentration meditation is the common meditation practice, which is characteristic of many different religious and non-religious traditions. Mindfulness meditation is the meditation which is unique to the Buddhist tradition. For that reason, there are three teachings (suttas) which we focus on at the Vipassana Buddhist Church/Center for Buddhist Development in relation to meditation: "Mindful of the Breath Teaching," "Mindfulness of the Body Teaching," and "the Four Foundations of Mindfulness Teaching." These three teachings function together like a system. We have our yearly meditation retreat at the Vipassana Buddhist Church/Center for Buddhist Development the first weekend after New Year’s Day. This year we had our retreat on Jan. 4, 5 and 6. The first day of the retreat, Friday, began at 7 p.m. and lasted until 9 p.m. The evening began with a discussion on the purpose and goal of concentration meditation, also known as serenity meditation; and mindfulness meditation, also known as insight meditation. The goal of concentration is to attain deeper and deeper levels of concentration, known as the Jhanas, until the state of Samadhi is attained. Samadhi is such a deep focus of concentration that neither perception nor non-perception can be detected. The goal of mindfulness meditation is to attain freedom from the rounds of rebirth. The way this is accomplished is to perceive through the body and mind all sense data with its Three Marks of Existence (or Three Dharma Seals) — suffering, impermanence and non-self. This eventually leads to the Four Stages of Sainthood, the last of which is the state of Nirvana. Nirvana is true enlightenment, the complete and total absence of suffering, sometimes referred to as true happiness. When someone attains the state of Nirvana they are forever freed from the cycle of rebirth. We do metta as a guided meditation. Metta is one of the four feelings of good will called the "Brahma Viharas" (literally: heavenly abodes). Those four are: "loving-kindness," "compassion," "sympathetic joy" — the opposite of jealousy — and "equanimity." Our practice of metta at our Buddhist center incorporates all of these Brahma Viharas. So everyone got comfortable on their cushion, and the guided meditation on metta began: "Picture yourself here in this room on this cushion. Go to yourself with this great metta, this great loving-kindness, and offer it to yourself. And say to yourself, 'May I be peaceful, may I be happy, may I be content. May no harm come to me. May I be relieved of suffering. May I not be deprived of my fortune duly acquired. All have karma as their own.'" Then after offering metta to ourselves, we offer it to our parents. Then we offer it to our children. Then we offer it to our siblings, friends, co-workers, enemies, neutral persons, all beings on earth and all beings throughout the universe. Then once again we picture ourselves and we gather up all of that metta we offered and we offer it to ourselves. So we begin and end with ourselves; you have to have loving-kindness for yourself before you can truly have it for others. On Saturday, the second day of the retreat, we began at 9 a.m. and ended at 5 p.m. The day included walking meditation, which consists of a slow, mindful circumambulating walk with a focus on the lifting, moving and placing of the feet. At noon we had a potluck lunch with a discussion on Buddhist meditation and other Buddhist concepts. We continued our sitting meditation with Samatha and Vipassana practice for the rest of the day and, of course, ended the day with the guided meditation on metta. On the last day, Sunday, the retreat began at 9 a.m. and ended at noon. We continued our sitting meditation, paused at 10 a.m. for a stretching break and a discussion about suffering, impermanence and non-self. We practiced Vipassana sitting meditation for the rest of the day and ended with metta, followed by a reading of the Ten Benefits of mindfulness of the body meditation from the Kayagata Sati Sutta. We had a good attendance this year, and everyone commented that they thoroughly enjoyed this year’s meditation retreat. 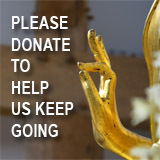 Please visit our website at www.vipassanabuddhistchurch.org for our schedule. May all beings be peaceful and happy!